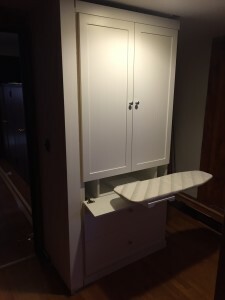 Built-in storage unit featuring a fold out desk, ironing board and storage. 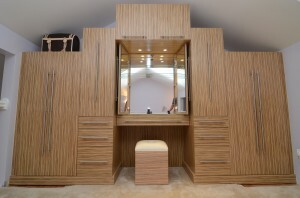 True customization - just what the client ordered! 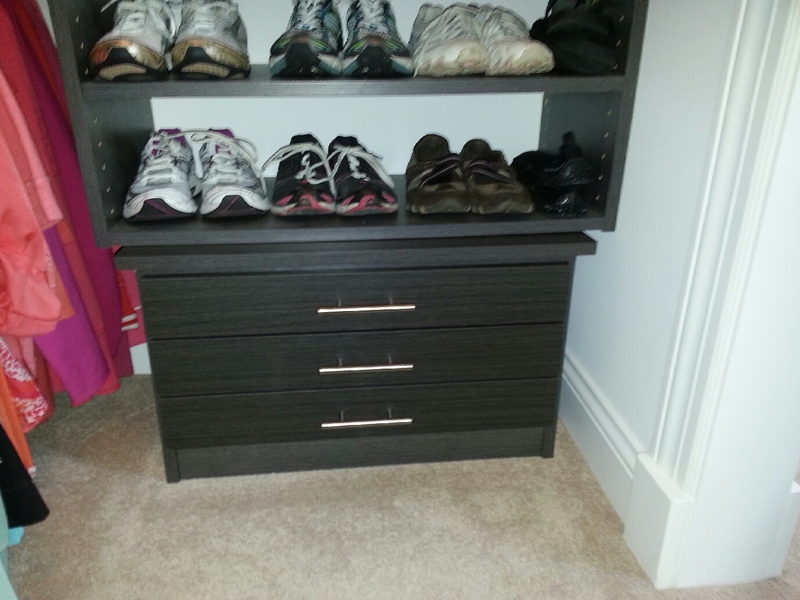 More happy clients! 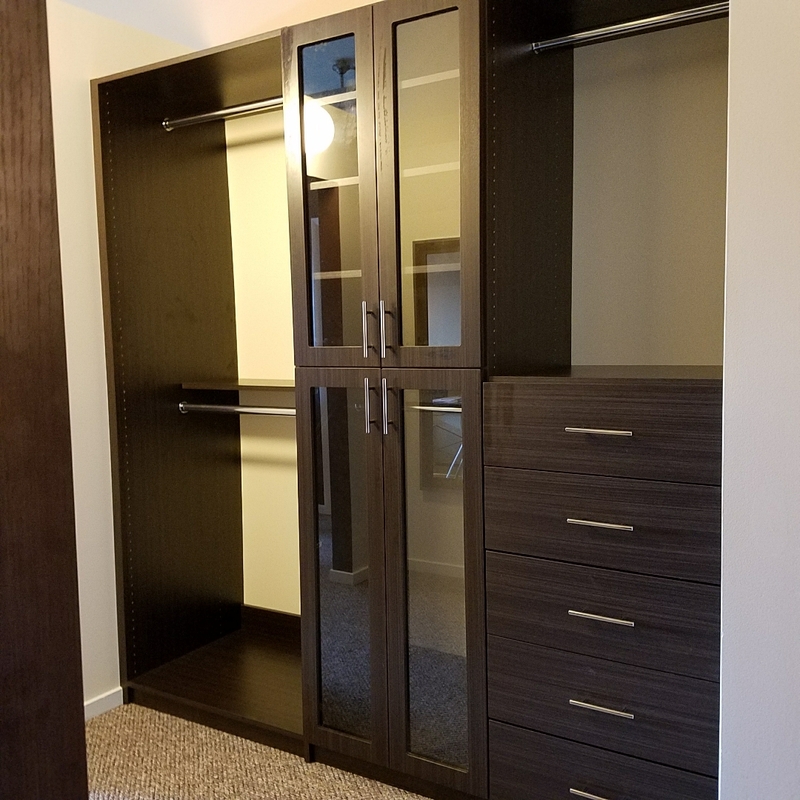 These West Loop clients are trilled with their new walk-in closet. 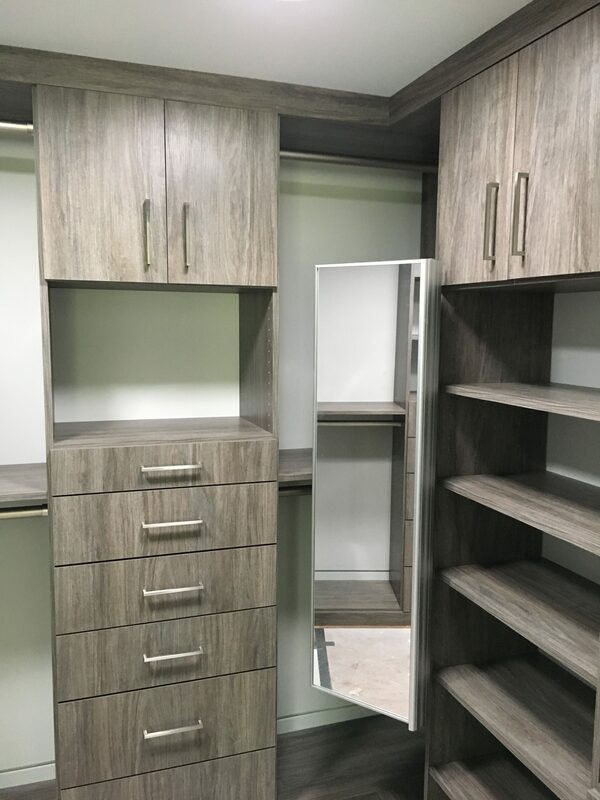 A large mirror made the space complete. 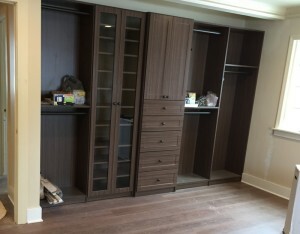 In Nora Creek Oak finishes; a modern finishes many clients have been selecting. Plus, square modern handles. 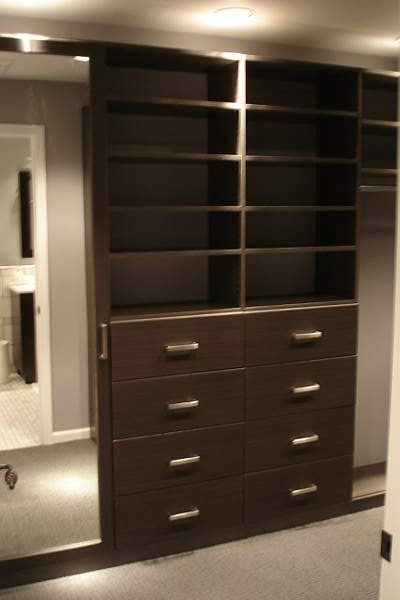 Client requested a built-in mirror for her walk-in closet. 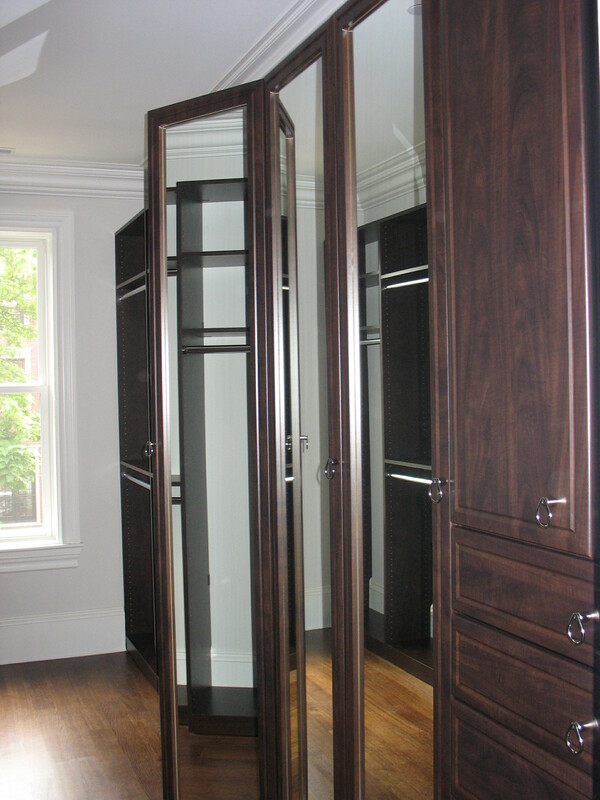 This 3-way dressing mirror is about 8 ft tall featured here in chocolate pear. 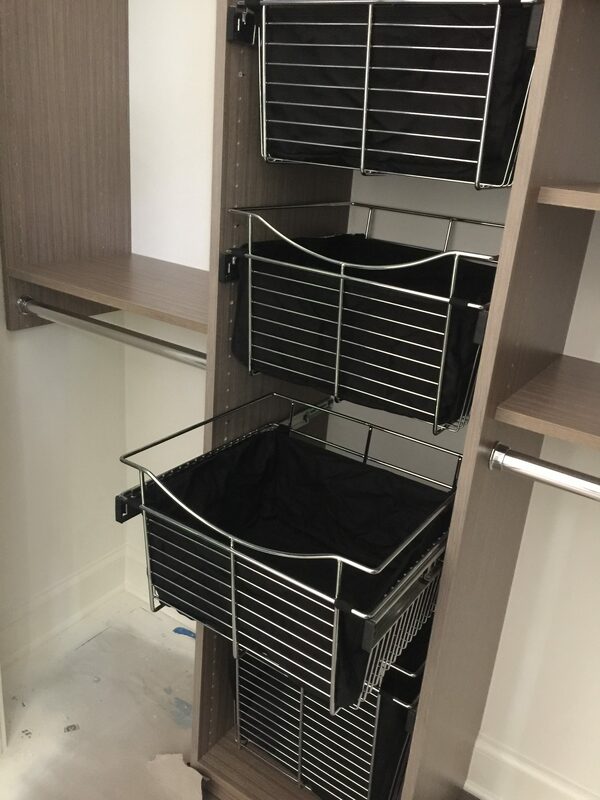 Installed at a Lincoln Park high rise.